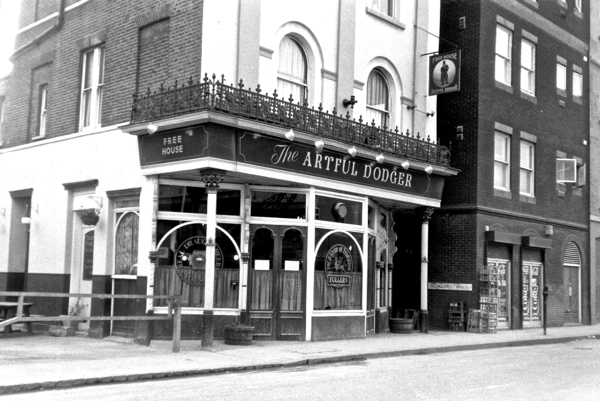 It is my pleasure to publish this second collaboration with Tower Hamlets Local History Library & Archive in which Spitalfields Life Contributing Photographer Alex Pink selected photographs of pubs from the collection, and then set out with his camera to discover which ones were still serving. 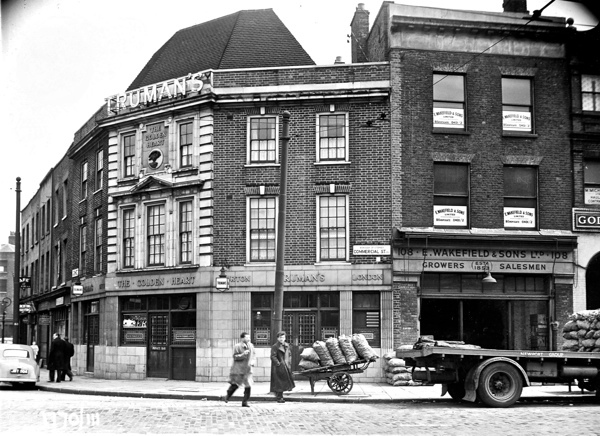 Visit Tower Hamlets Local History Library & Archives for opening times, collections & events. Fascinating to see what has changed and what hasn’t. A fascinating set. I love best the ones that have been taken from as close an angle to the original as possible. Thank you for sharing. 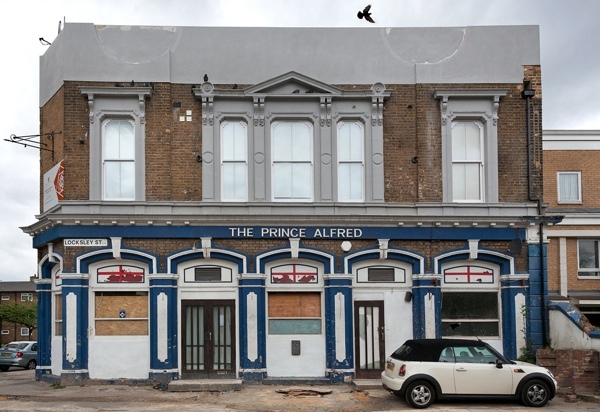 Wonderful photos and so good to see the majority of the old pubs still standing. 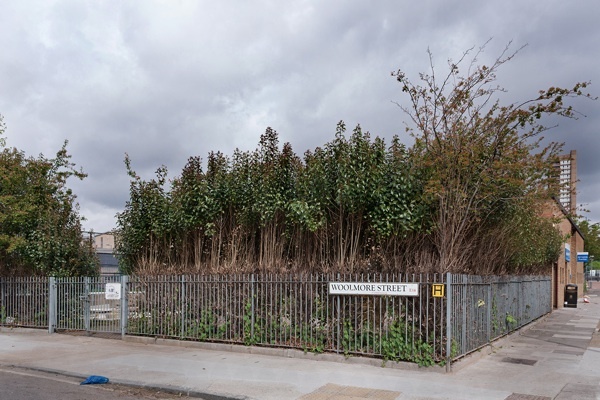 Shame, when The British Oak at Poplar was demoloshed, a fine British oak tree wasn’t planted on the site. It’s probably not too late!!!! I’m quite surprised to see so many still around and apparently thriving. But the Aberfeldy. What were they thinking? 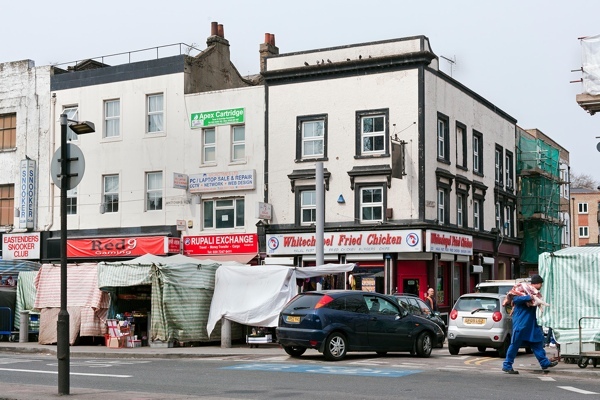 One almost wishes a ban on fried chicken after seeing these photos, given that a couple of these have turned into cheap chicken shacks. Although if The Experienced Fowler had turned into a chicken shack, I suppose that would have been high irony. Great photos. 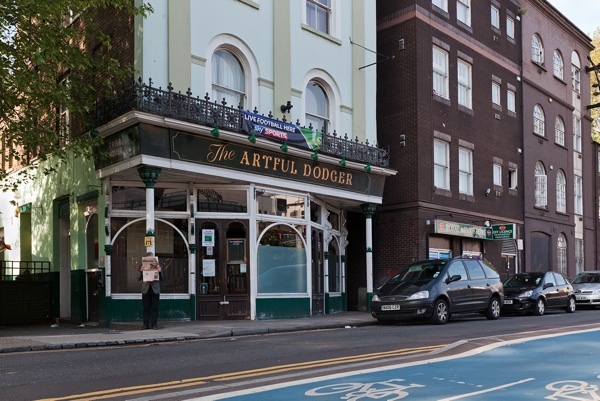 I love the ones that there are a good amount of these pubs that are still serving, and that there are quite a good few that retain their architectural features. Wow, the picture of The City Pride tells a story! Encouraging that many still exist as attractive pieces of architecture, even if beer seems to have been replaced by fried chicken in a few cases. 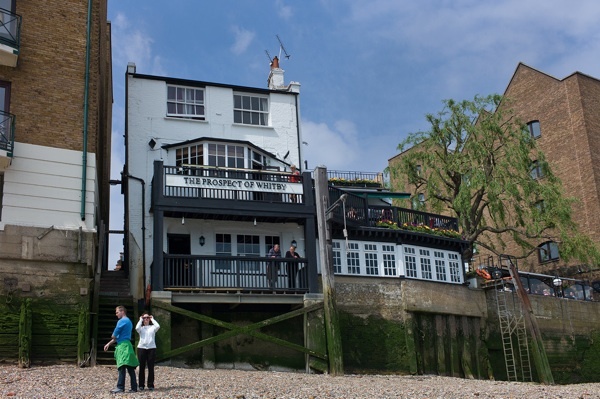 The Prospect of Whitby, Wapping……what a difference when somebody loves a building to bits!! Such a delightful picture. 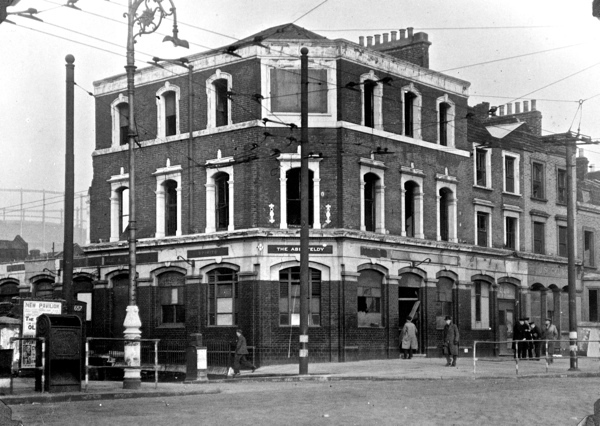 In answer to Margaret, above, the Aberfeldy in Poplar was bombed in 1941 and struggled on until 1946 when the pub moved to a nearby prefab. The new Aberfeldy was built in 1958-59. 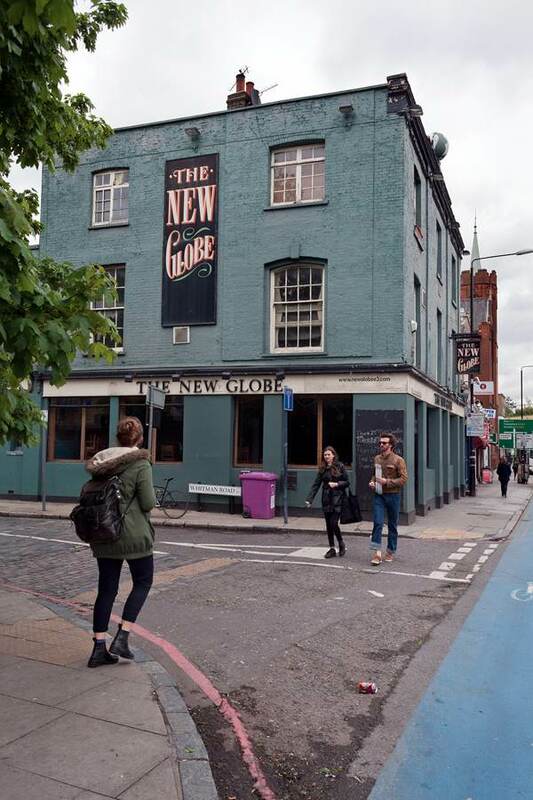 Nice to see a photo of the New Globe at Mile End. 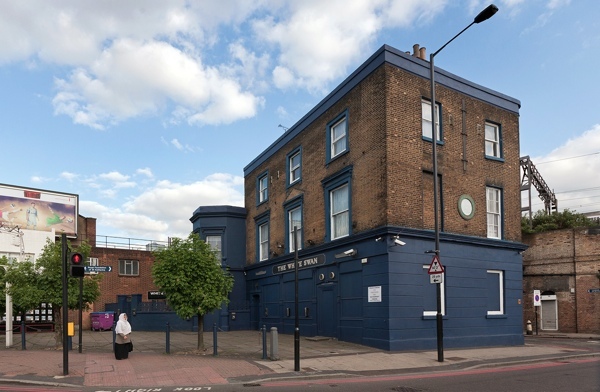 Spent a lot of time in there when I was doing my degree at Queen Mary in the mid 90s! Thank you for this – very interesting, and sad at the same time. 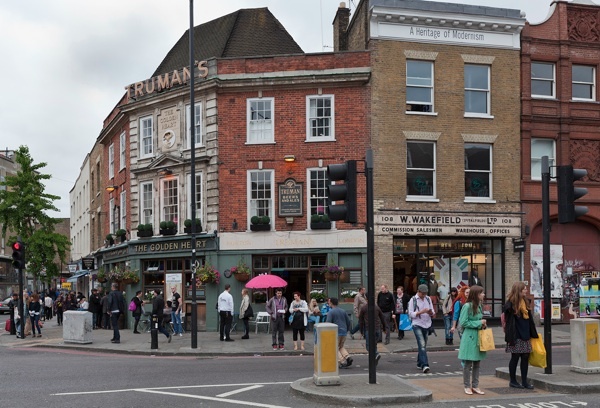 So pleased to see the pubs that have survived thriving. 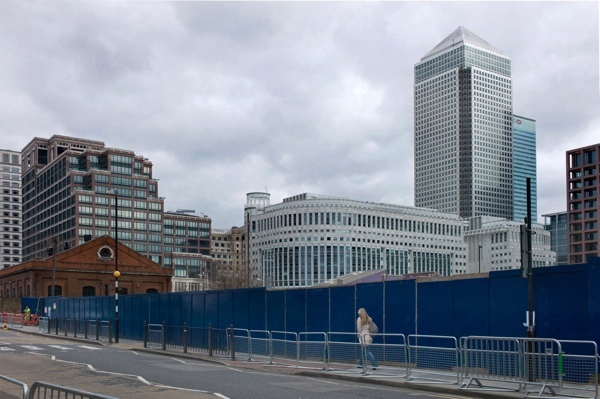 The bomb damaged Aberfeldy was situated on the corner of Aberfeldy street and East India Dock Rd. 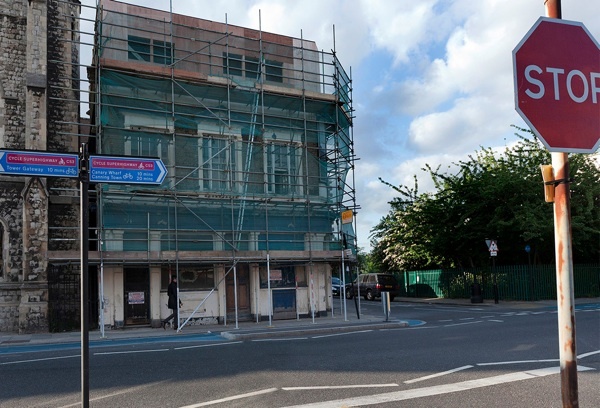 The new existing Aberfeldy pub is about 300 yards north of the site of the old pub and is on the corner of Blair and Aberfeldy streets. Don’t want to be picky but it’s nowhere near Canary Wharf. The City Pride apparently sold for £35 million. I agree with Shaun as I was about to make the same comment. As kids we used to play in the cellars in the early sixties. 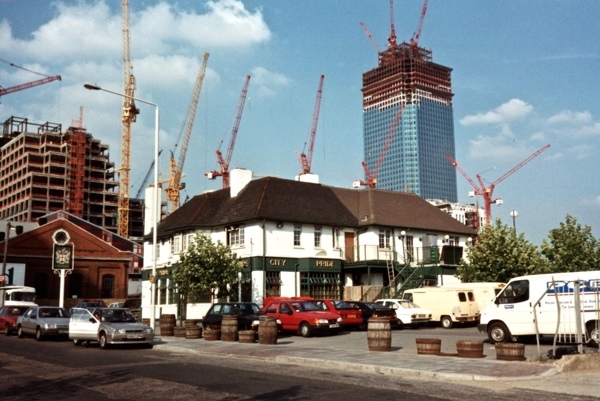 That was all that remained of the pub at that time. I can remember the parrot in its cage in the Prospect of Whitby when I was 16 in 1949, and we used to sip our half pints. At the time I was living in a hostel in Bower St close by. How lovely to see some of my old haunts still alive and kicking. 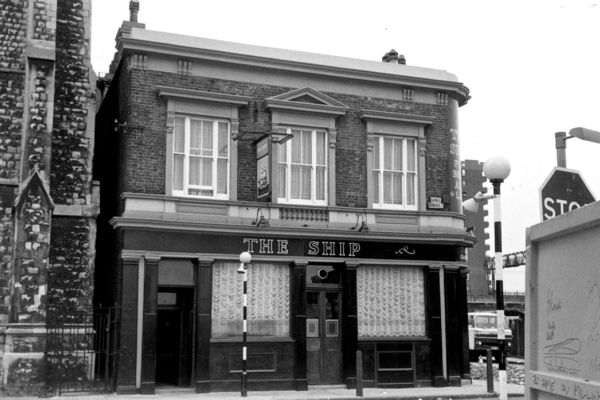 I’m from limehouse,and grew up in the 60s,so much of my youth was spent in pubs around limehouse,poplar,stepney,bow,isle of dogs,etcetera. 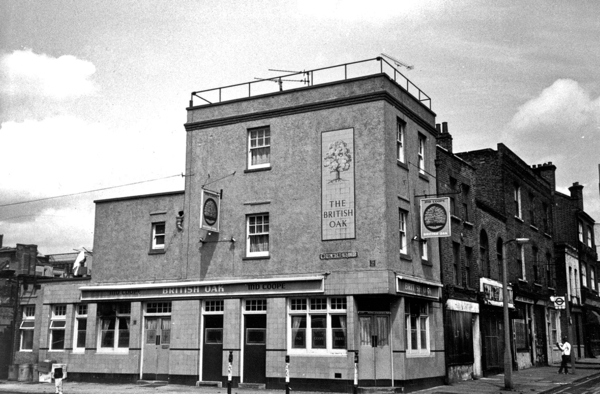 Worth a mention is The Grapes in Narrow St.I grew up opposite there.And what was The Black Horse,almost opposite The Grapes,which is supposed to be the smallest pub in england and now with another name,was at the end of the old block of flats that was Brightlingsea Buildings. 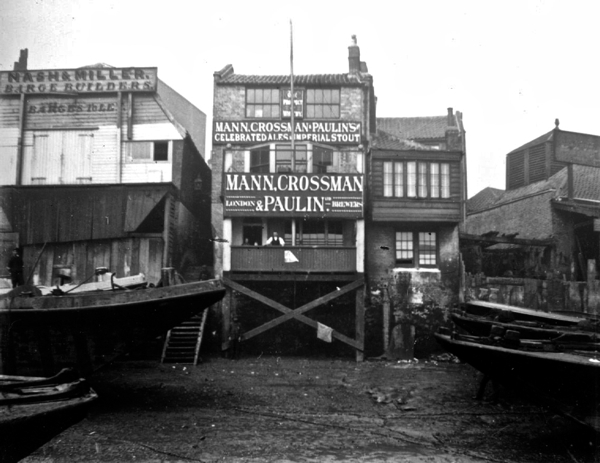 There were so many very old pubs all around the east & west india docks areas.Some of them hidden away down old narrow cobbled streets,lanes and alleys. 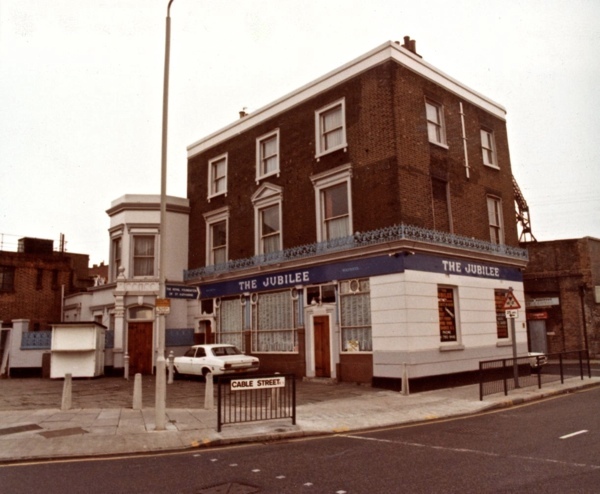 Great photos, and even I remember some of these pubs. 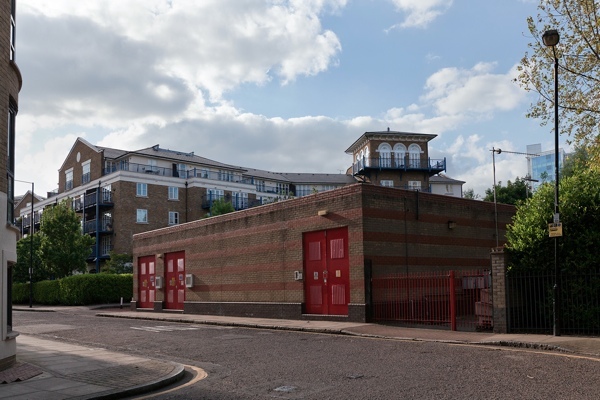 I lived in Narrow Street from ’59 to ’69, my home overlooked the Thames, next to what was then W. J. Woodward-Fisher’s barge repair yard. 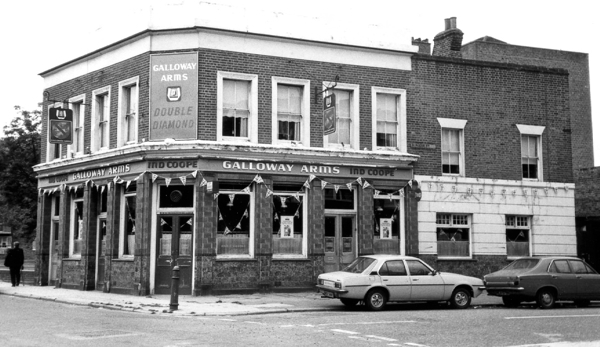 I remember some of these pubs with nostalgia, so sad that so many have disappeared and with them the old character and spirit of the East End. 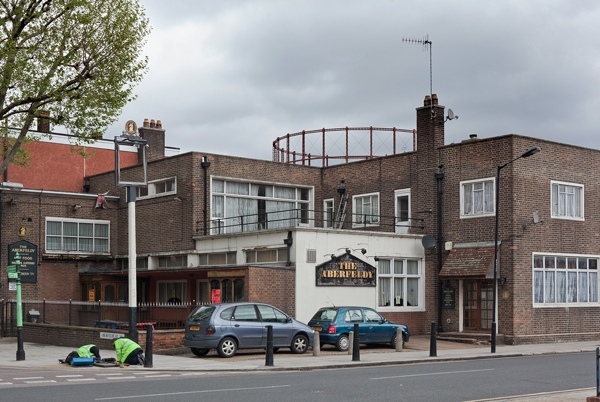 I recall vividly the raucous singing, with piano accompaniment, that used to echo from the Five Bells and Bladebone in Three Colt Street when I used to pass it at night when I was a kid. 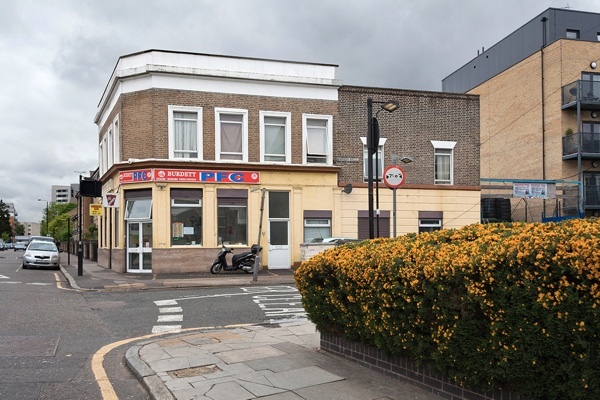 As an East End kid, I recall my dad navigating via pub landmarks & directions always involved a pub or two… good to see some still standing & thanks for the tour! What great photos. 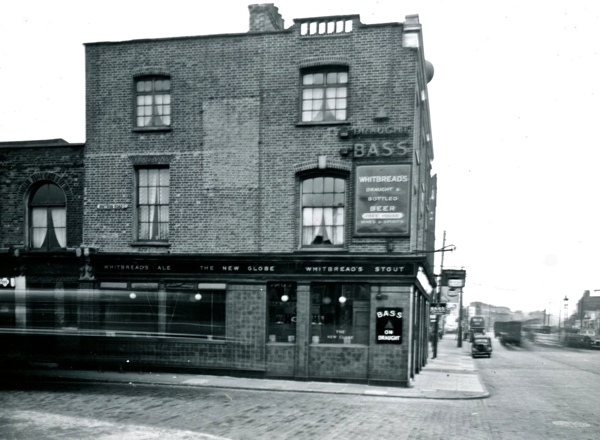 Does anyone know anything about the Cheshire Cheese public house, West Street, Spitalfields ? 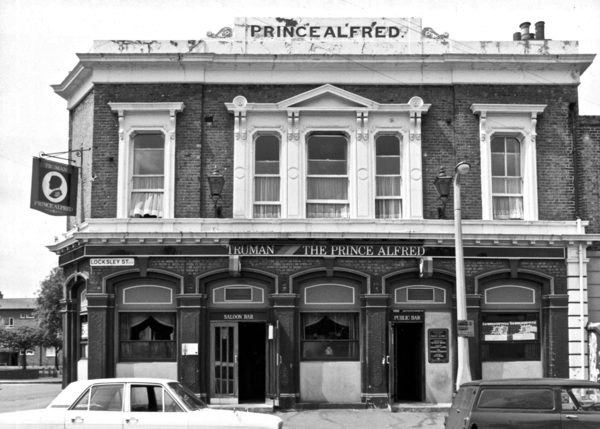 Now demolished, my great great grandfather (Frederick Brinkman) was the publican in residence from 1874-79. 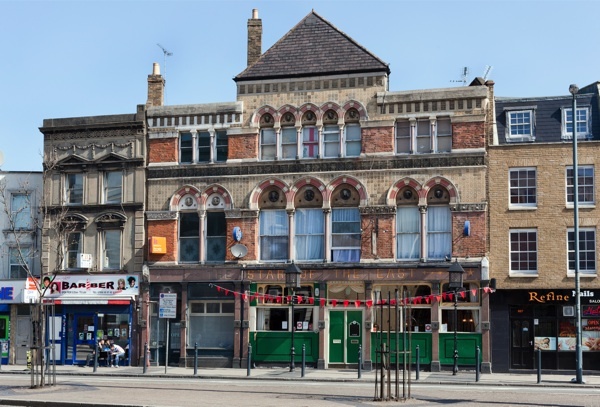 I am looking for any pictures, drawings or artist’s impressions of, ‘The Star’ No 2 Morris Street Stepney. 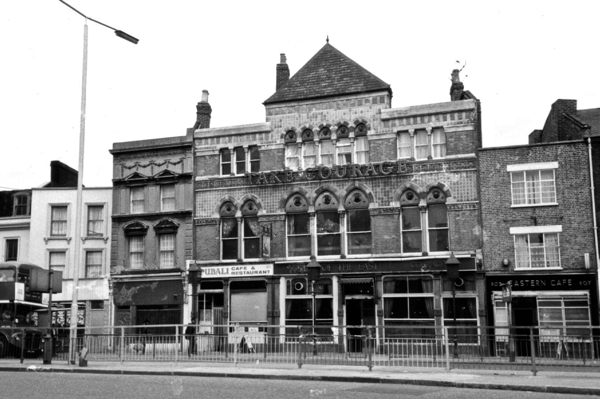 It was demolished in the early 60s along with the rest of the surrounding streets. It stood at the end of Planet Street (formerly called Star Street. 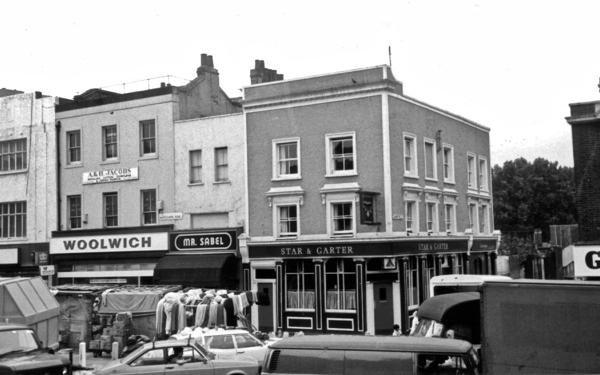 Adjacent to it was Star Place formerly Whites Gardens. Watney Street was nearby. Planet Street was off Commercial road. The best I have is an aerial view taken from directly overhead by the RAF in 1947 (bomb damage assessment). 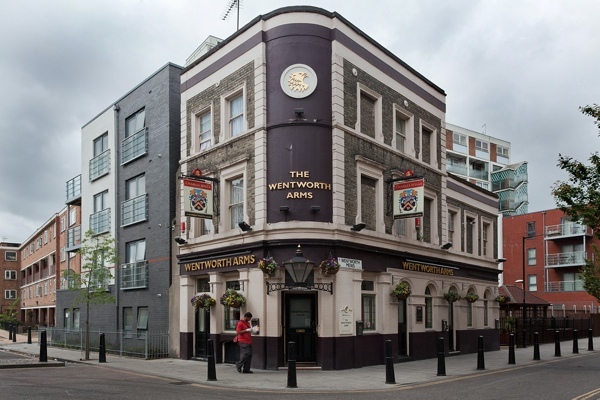 I used to use a pub in the 90′s which was just off Commercial Road in a housing estate. Can anyone remember what it was called? It had been in the same familly for years. Is it still there? ran it and my mother helped look after the children. Do hope someone can help!! 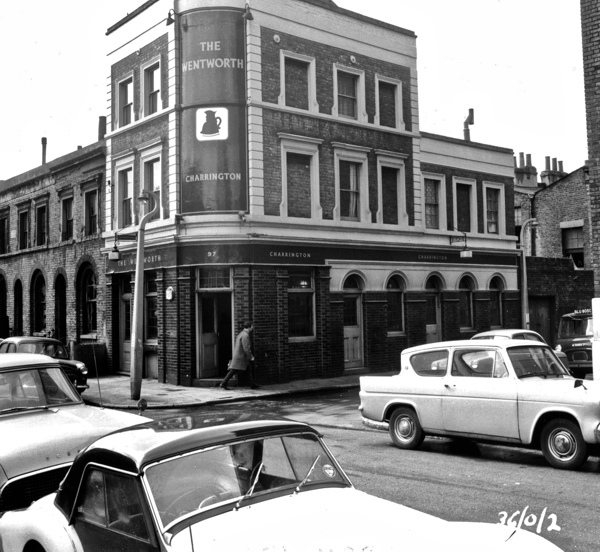 I’ve been searching for a photo of my Grandparents pub the Nags Head. 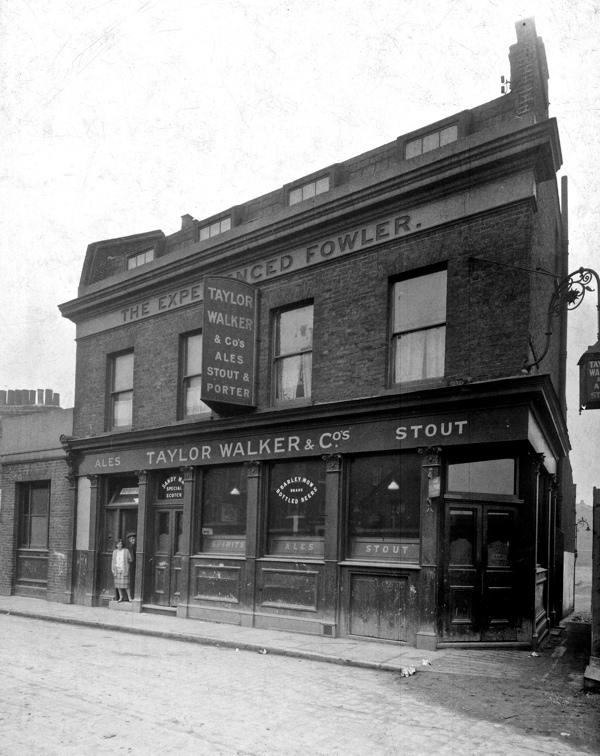 It was situated on a corner on Cotton Street and Manisty Street Poplar.